Starting an embroidery business can be a fun way to bring in extra money, whether its a small at-home business or a large business catering to business people looking for logo and labeling services. The versatility of the art of embroidery can help it fit into nearly any lifestyle. However, as with any business, there are some important first steps that can’t be skipped. The first step you always need to take, with any business or financial venture, is to plan. A strong business plan, as we can attest, is a must. No matter the size of your business, planning can improve its chances for success and foster healthy growth. Your plan also helps put your vision in order and guides your next steps. It can help you foresee issues before they arise and prepare you to handle the unexpected. 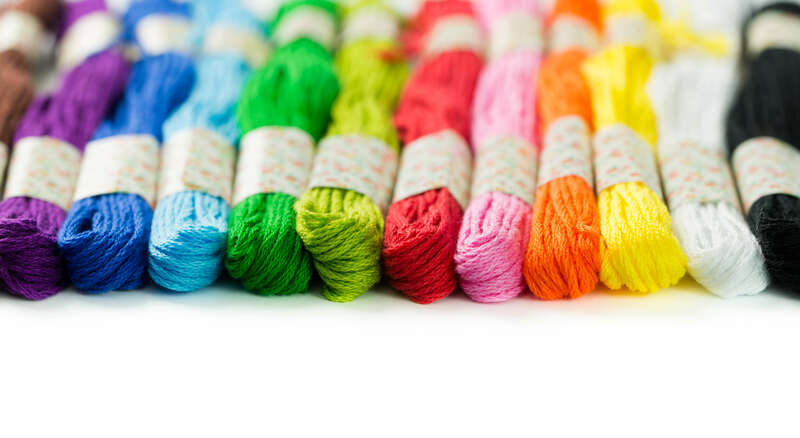 Even if you’re running a needlepoint sales site from home, you’ll need to connect with your community and potential customers. Do some additional research to see who your customer base will be. Research out the latest trends in embroidery and how you can best serve your customers while staying cutting-edge. Start lining up projects with friends and family to get a customer-base started and to prompt some word-of-mouth advertising. Branding is important for any company. Decide on how you want to present yourself. Choose a name and logo. Building a strong brand will help give your business professionalism and build brand recognition. This may also give you an edge over any competition. You’ll need equipment if you don’t already have it. Look up the newest technology and find a great machine in your price range. As your business grows, you can upgrade. It’s important that you know how to use your machine. Be sure to practice before starting on a customers project. Advertising is essential to any business. People need to know about your business and what it offers. Build social media accounts specifically for your company. Spread the word with local ads and fliers. Make some items for your friends so your product gets seen. And, of course, always make sure your work is the highest quality. You want your product to stand out against the competition, and you want customers to be pleased with their purchases. Give every project a little extra love and attention.